€ 195,- Gutschein (siehe Höhenflug-Erlebnis) inklusive aller Leistungen + Videos & Fotos, gratis Versand siehe "Gutschein-Button oben in der Leiste"
FLUGZEIT, immer abhängig von Wind und Wetter! - auf jeden Fall fliegen wir länger, als Felix Baumgartner unterwegs war bei seinem Stratosphären-Sprung aus 39.000 Meter! Frag uns über die Möglichkeiten von Digitalfotos, Videos in Full HD und Diashow auf USB-Stick, mit über 100 Aufnahmen vom ganzen Ablauf natürlich auch vom und im Flug, dabei sind immer unsere besten GoPro HD-Spezialkameras im Einsatz! Mit Deiner Kaisercard bekommst Du von uns eine Ermäßigung. All prices are subject to change and include 20% VAT. The impressions you get as a total experience from a paragliding tandem flight can not be defined in minutes! This would be more like a consumer behavior that is not worthy of this fantastic game with nature. Mass flights are not our thing, such a special experience as a tandem flight is a gift of nature and deserves a very PERSONAL and INDIVIDUAL care. Class instead of mass! FLIGHT TIME, always dependent on wind and weather! In any case, we are flying longer than Felix Baumgartner was traveling with his stratospheric jump from 39,000 feet! Air ticket, insurance, personal certificate and fun. Ask us about the possibilities of digital photos, video full HD and slide show USB storage, with approximately 100 photos of the whole event, of course also in the air (GoPro special camera). 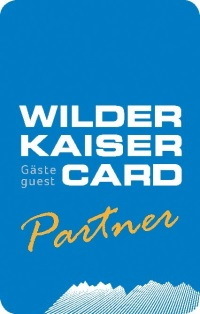 With the Kaiser- Card you get a discount.